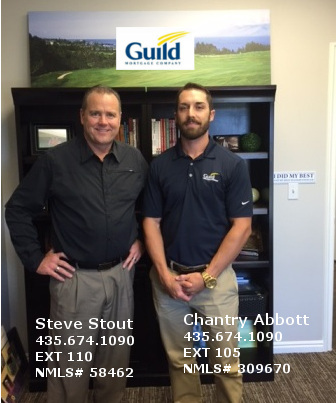 This page starts a guide toward helping you purchase real estate in the St George area. The left menu details your home buying process with everything you would want to know from A to Z . Below we start with an item of immediacy- Timing Your Move. Many people often ask me the following questions involved with Timing the Move. Below, I will try to think of everything and provide the best set of expectations to help your move go smoothly. Please go easy on us as we merely try to do our best with answers, but we too also allow for individual adaptation and variation off these answers. Question: Brian, can I come look at properties before I've sold my home? Answer: If you have to sell in order to buy, you can do some looking, but be careful. It is easy to get sucked into taking up everybody's time to 'find the best home' when you still don't have your own even under contract yet. It is one thing to be getting a feel for what kind of homes will or won't be available vs. actually thinking you've "found the one". Most likely if you really like it, so does every other buyer who is ready to purchase. But like homes can come and go, so getting a feel inside a couple of your favorites is not a bad idea, if you don't think pictures have been educating you proper. Most times you can trust pictures if there are enough that you can decide 'what kinds of deals are and can and "will most likely" be available', once you sell your home. If you haven't listed your home yet and you live here in the St George area, Call me now and I can give you either a 'feel' for what you can expect to get for your own home. If you prefer, you can use my Find Your Homes Worth form to put in your request. I can really help you more if you provide a phone number, in case I need to call about certain items that could be germane. Question: How on earth can I decide on an area without first visiting the area? Answer: Getting to know the area, in starting out, has become a lot easier. You can get to know the area with our new videos on the home page. Videos and Google Maps make things much easier now-a-days. Also, most people miss this: When you are looking at listings on our Advanced Search, click on Map, then click on Driving Directions, just under that. This will take you to a Google Map. Now you can take that little yellow man and drag and hold him over the map. When any streets turn blue, drop him onto the street next to your listing and now you will be as if standing in the middle of the street, able to move up and down it, looking at the entire neighborhood and at multiple curb shot views of YOUR LISTING. Some limitation applies if the Google van has not mapped that section of town. Most areas here now have been mapped. OK, maybe you need to come here to look around and get a feel for the area prior, selecting this as your destination to move to. The St George Chamber of Commerce can often be a good place to visit at such time. However, if you are already familiar enough regarding the desirability of the St George Utah area, then you never need to worry about 'getting a comprehensive feel' for the areas neighborhoods as a necessary precursor for looking to buy. You really can just commit to this area as it is quite desirable and nice and most people seem to get a feel for the right neighborhood when looking to buy that home. Question: What can I expect from an agent in the preliminary stages? Answer: Please know my absolute commitment in potentially getting to serve your real estate needs. I'm pretty flexible to people's situations. This is just it. I do not work for free (well, if buyers purchase they never pay, it is always the seller out of their proceeds), yet it is obvious that sometimes I'll be helping people without getting paid, precisely because they did not find or buy something. OK, so the question becomes about what level of help can Brian give while still staying in business when it comes to people who are just getting a feel for the area? OK, it has come down to this, if you know your going to be purchasing, I'll show you anything and everything for days on end or call on properties for you and find answers. So, you might have some relative idea that you have good chances and there comes a range there, on down to those who think it very possible that it could not happen. In the latter cases, I like to guard my time against a policy of showing one to three listings when you might not yet be settled on the area (other areas competing with the St George area) or if you have to sell a home first. Question: Are there neighborhoods to stay away from and what are some of the more desirable neighborhoods in town? Question: How long can I shop before getting pre-qualified? Question: How can I best maximize my home search process? I can help you relocate or plan your move properly. Please do not hesitate to call me or contact me for any questions or concerns. You do not need to stumble around in the dark. We specialize in taking the worry out of buying real estate in St George Utah and the Washington County area.